Comments can be made for many types of activities, in this example “page”. 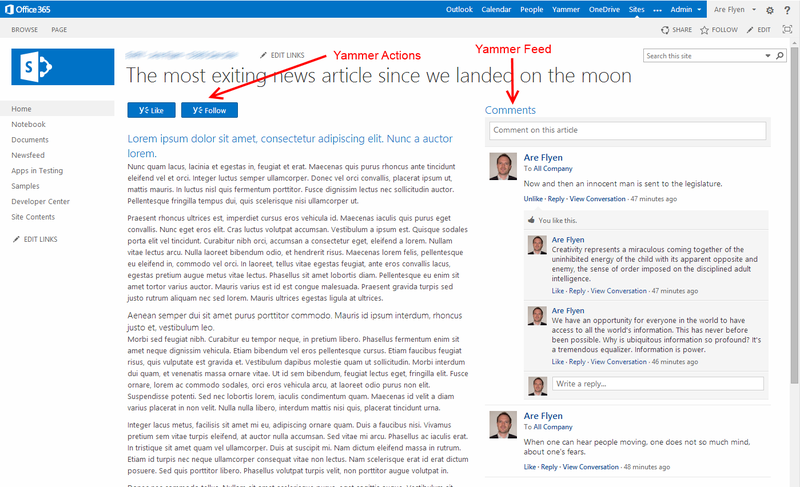 Yammer can maintain the relationship between the article and the feed either automatic by the URL in the browser, or it can be set explicit to ensure that the ID is unique. 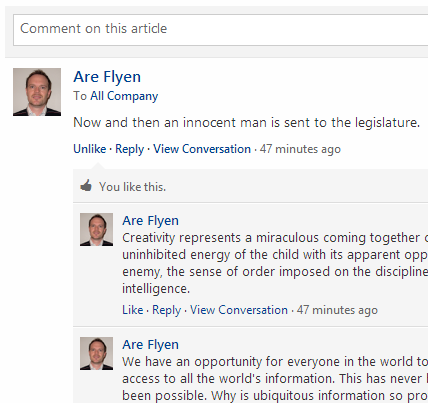 The first event on this article will trigger Yammer to create a activity page. This page can be enhanced with further metadata like a description and an image. The practical effect of the “Like” action is limited. The button only shows the state for the current user (Like/Liked) and generates an activity. No total count of likes is available. When a user likes a page, it will also automatically be followed. When following a page, you will subscribe to the activities on the current page. If you make a comment you will automatically follow the page. 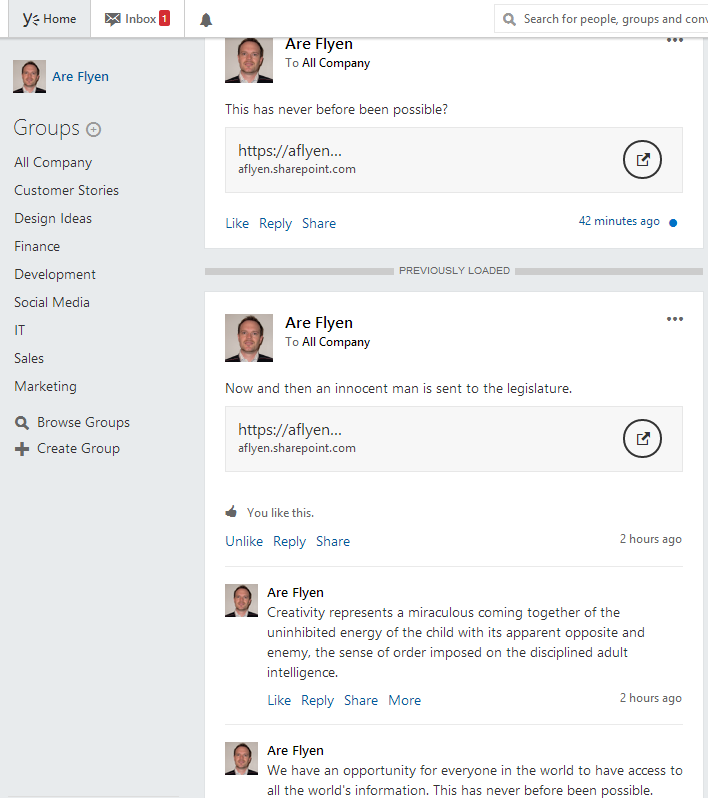 Yammer gives us easy to use API to make the switch from SharePoint Social to Yammer possible. Even if these examples are demonstrated in SharePoint Online, the same solution can be applied to On-Premises. Gaining the best user experience On-Premises will be by implementing a Single Sign-On (SSO) solution between you local network and Yammer. Disclaimer: Both SharePoint and Yammer is in continuous development, and the API and user interface shown in the screenshots have changed from the time this post was written. Hello, that looks great. 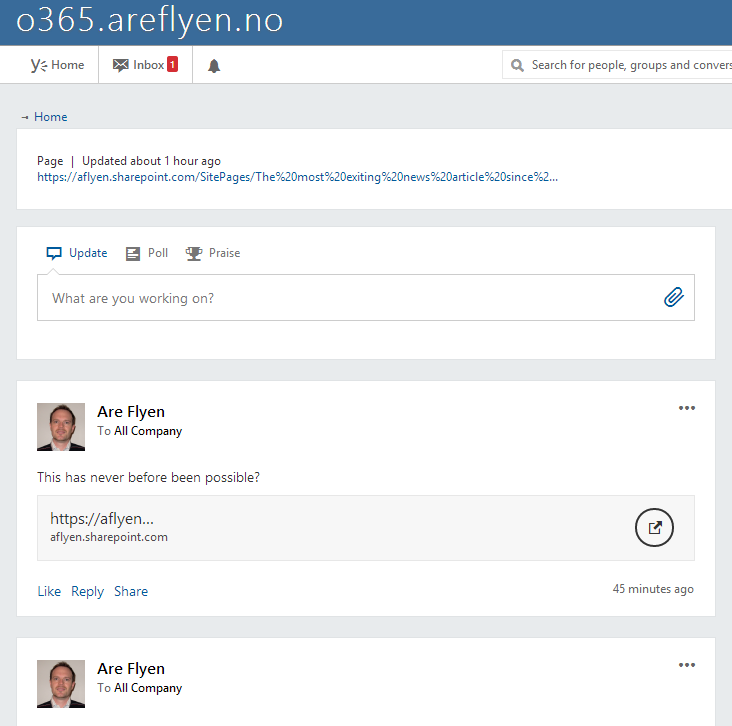 I just added comment code to my sharepoint page but I guess something is missing, as I have to login to Yammer first, even though I’m already logged into 365. Is there something that needs to be changed in the code you presented in order to make this work with single-sign-on based on SharePoint logged user?